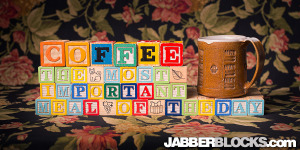 Coffee, the Most Important Meal of the Day – Another fun coffee saying. Although there is a lot of truth in this one. My day doesn’t really start until the coffee cup is empty.If you can function without food, but not without coffee – this saying is for you.